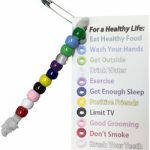 Remember your troop trip to a government office or to meet a representative with this patch from MakingFriends®.com. 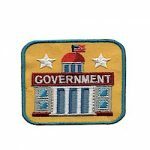 Great patch for trips while working on the Ambassador Public Policy badge* or an Ambassador JOURNEY*, Senior Behind the Ballot badge* or GIRLtopia JOURNEY*, Cadette Finding Common Ground badge*, Junior Inside Government badge* or GET MOVING! JOURNEY*. Every girl wants a nice dress for their prom or formal. But not every family can afford the expense. Your troop can make a difference for the girls in your community by participating in or hosting a prom dress collection. If there is not already one in your community, getting an annual event started would make a great take action project for JOURNEYS* like Bliss* and Mission Sisterhood*. 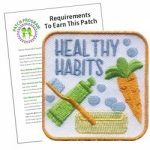 This patch from MakingFriends®.com is a great reminder of your troop’s service project. 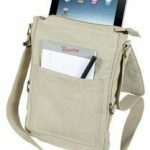 Vintage styling is the perfect size for your tablet and JOURNEY* book. This is the bag that is included in our Dream Adventure Badge In A Bag® kit. Give your girls this awesome patch from MakingFriends®.com first and see if they can figure out what it is. A fun start to your self-esteem program, this patch can help remind them that they are original and the best way to find true friends is to be who you are and give people a chance to know the real you. A beautiful patch for girls who have made a difference in someone’s life. 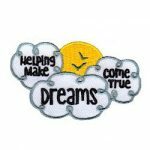 This patch is included free with Dream Adventure Badge In A Bag® from MakingFriends®.com.